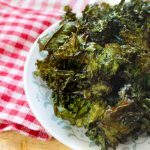 Keto Kale Chips - Headbanger's Kitchen - Keto All The Way! I can imagine that a lot of folks don’t like vegetables or they aren’t getting enough of them on their diet. 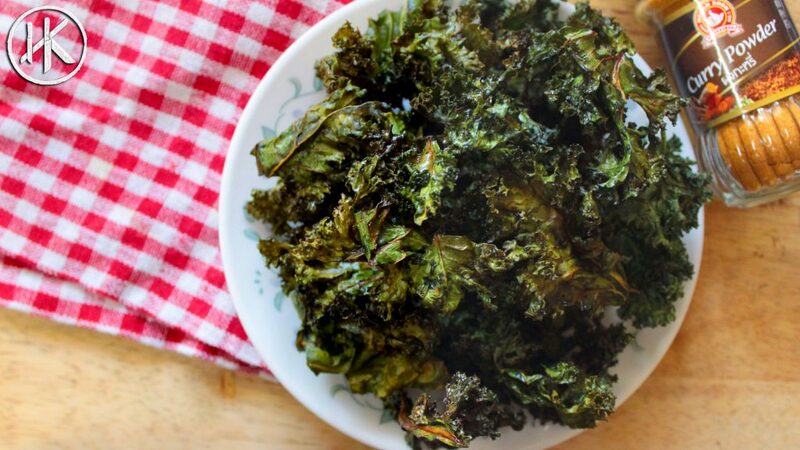 These kale chips are absolutely delicious and a great way to eat your veggies. It’s got that lovely crunch which we often lack while eating the Keto way. This kind of hits the spot as a Keto snack because it’s crunchy, not too many calories and sometimes you just want to eat something for the sake of eating. I’ve flavoured these with some curry powder which I picked up in Bangkok just to give it more flavour but you can totally just go with salt and it’s still pretty tasty. You are free to play around with the flavours and try different spices and combinations while making these. Couple of things to keep in mind are that the stalks are to be removed as they can be quite tough and bitter. These don’t stay crisp for very long so it makes more sense to make them when you want to eat them. I could also have botched up something but when I left them sitting for an hour or so they became more chewy and lost their crispiness. This is funnily enough my first Kale recipe. We never had kale in India till it became like this ‘health’ food and people started growing it here but it’s not part of ANY Indian cooking. I guess I’ll make myself more familiar with it now that it’s a bit more affordable as well. Curry flavour kale chips, crunchy and delicious. Eat immediate. They don't stay crisp forever. I don’t think we get kale where I live. Is it possible to swap with spinach for this recipe? I don’t think it will work with spinach but give it a go and let me know if it does.